When was the last time you took a vacation? And not a business trip or a long weekend for your cousin’s wedding — a real vacation. If you can’t remember, then you’re probably suffering from burn out, and you’re not the only one who had a rough 2017. Today’s workers are often impacted by a culture of overwork, wasting vacation days to achieve more. If you identify with this mentality, you might be doing more harm than good to your health and productivity. Over three-fourths of domestic trips are taken for leisure purposes and there is a good reason for that. Vacations help you recharge, unplug, and be a better version of yourself. So, how can you tell if you need to take a break? The following are some subtle signs that you are overworking yourself and it’s time to take a true vacation. Is your mind wandering to other places rather than focusing on the task at hand? You might notice that your productivity is dipping, and this might be because of stress. While it might not be your natural instinct to do so, you might need to take a break in order to get your productivity back on track. You are making small mistakes. 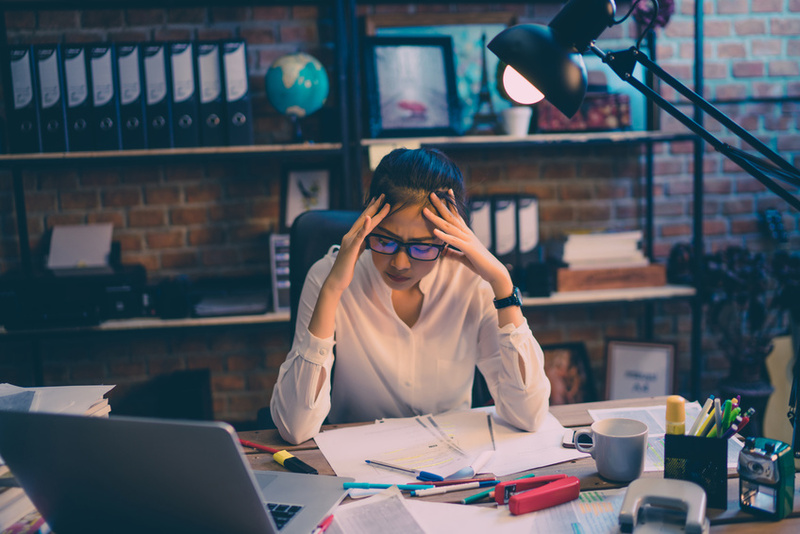 Forgetting your lunch at home, losing your keys, and sending emails to the wrong recipients are just a few examples of the types of mistakes that overwhelm can cause. Your mind might just be too burnt out and you aren’t focused on even the smallest tasks. You can’t find the motivation to do your work. If you normally wake up ready to start your day and suddenly have trouble finding the motivation to get out of bed in the morning, don’t worry. You might just need some time off to refocus your mind and find your core purpose again. You are in physical pain. Most people hold stress in their body, and this can result in aches and pains. About 80% of adults will experience back pain at some point in their lives, and this is one of the most common types of stress pain. Sitting all day while working can be draining and hard on your muscles, so take a vacation to let yourself move and stretch. Even if you are exhausted, it can be difficult to get true restorative sleep while you are stressed. When you are overworked, your mind may have trouble shutting off. A vacation can help you stop thinking about work and focus on your wellness instead. You are getting sick often. Just as stress impacts the muscles, your immune system can also take a hit. Especially if you have been working while sick, it’s time to take pause and take care of yourself. Remember: Even if you have fallen into workaholic tendencies and think vacations are a waste of time, you need to remember that you could not be more wrong. There are entire industries built around helping people destress. After all, the U.S. spa industry reached $16.3 billion in 2015. Whether you take a spa weekend or a week-long beach vacation, it’s important to give yourself these breaks. Your productivity and overall happiness depend on it.